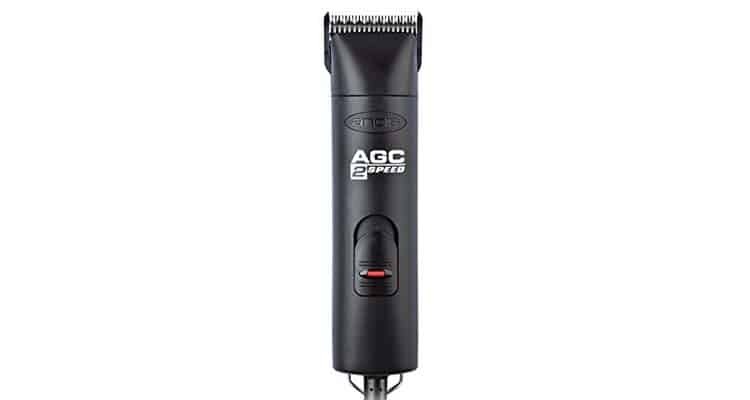 Andis AGC dog clipper review | Find out why these clippers are amazing! Available in 8 colours, these dog clippers really are up there with the very best available. 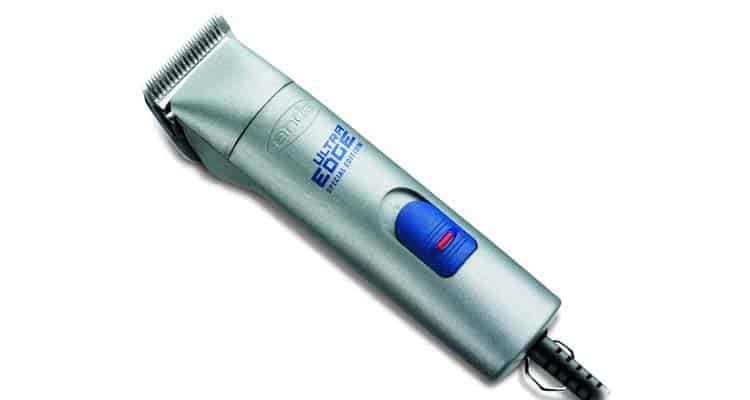 Used by dog groomers the world over due to their power, ease of use and their range of features. These are classed as professional quality and as such they have a higher price tag. However, this price tag is justified. They’re both quiet and comfortable to hold and give your pet pooch an even, high quality cut. Although they’re priced over £100, you will quickly get a return on your investment, with the savings you’ll definitely be making by NOT having to visit a professional dog groomer. 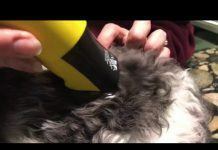 Our Andis 22360 AGC Super 2 speed professional dog clipper reveals just how good these dog clippers are. Although billed as “professional”, there are so many features that they’re also fantastic for the domestic dog owner. They’re neither too heavy or intimidating for the inexperienced or first time user. 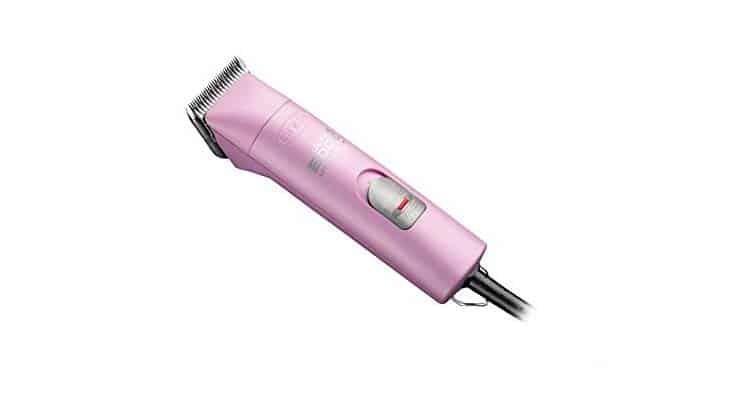 The Andis AGC dog clippers have over 300 reviews (click here to read them). We have conducted our own Andis AGC2 review but 300 impartial reviews – can’t be ignored! Having used these dog clippers ourselves, they’re very easy to pick up and use. We have used many sets of dog clippers that are way more uncomfortable to use and operate. You can literally pick these up and begin clipping. It’s very easy to switch and change the blades when required. We used the clippers on thicker coats and more coarse coats and the clippers handled any coat we used them on. 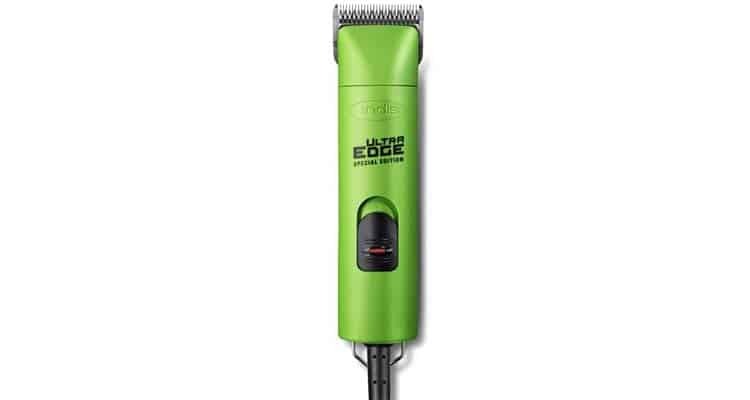 These are a set of incredibly durable, well made and a high quality set of clippers. 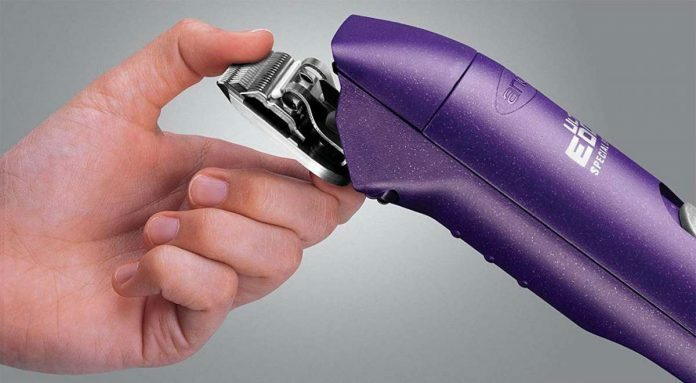 The exterior housing of the clippers are break resistant. They’re heavier than other models but not too heavy to cause your hand to ache, heavy enough, just to let you know you’re handling quality. And it feels great in-hand. They’re powerful. Really powerful. The fastest speed runs at 4000 strokes per minute, so can handle any type or breed of coat. This results in a faster, more comfortable grooming process. They’re easy to use and if you’re a professional dog groomer, they’re powerful enough for any breed and for all day use (in our opinion). The clippers have 2 different speed settings and depending on the breed and coat of your pet pooch – you adjust the speed accordingly. The clippers glided through both the mattings and knots of our dogs. We tested these clippers on two Shitzus and clipped twice, 5 weeks apart. They guided through any and all knots with ease, causing no pulling or discomfort for either of our pooch’s! These Clippers have been around for over a decade – testament to a great design. There are reports of people having and using them for over 9 years. If you groom your dog once every 4 weeks, that’s 12 grooms per year. Over 9 years that’s 108 dog grooming sessions. Now, if you were paying a dog groomer each time (average price for a groom is approximately £30), that would take your spend to over £3,000!!!! That’s a HUGE saving you’d be making by purchasing a set of these dog clippers as opposed to visiting a dog groomer once per month. These clippers benefit all dog breeds and continually work well on any coat. They’re great for both small and for larger dogs where grooming is vital and more frequently required. Over the years, we’ve discovered that purchasing clippers, designed and produced by a respected brand like Andis almost always cut well and perform lots of grooming sessions, leaving their cheaper competition in the sand. We believe that purchasing an inferior set of dog clippers that are a cheaper, less powerful set of clippers, is a false economy. They simply don’t last as long. 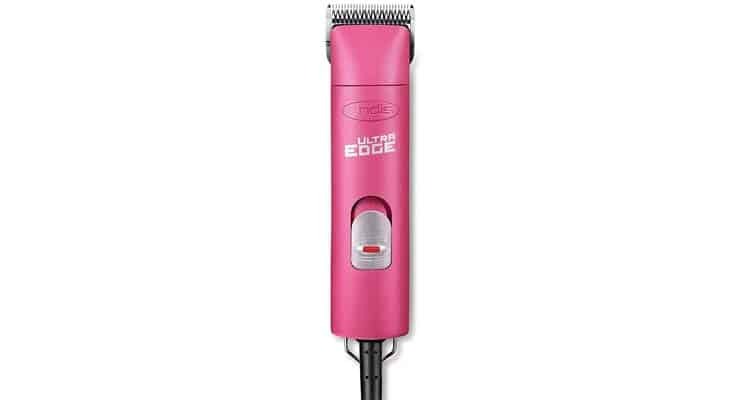 They’re a heavy duty set of clippers but they’re wonderfully lightweight and easy to use. 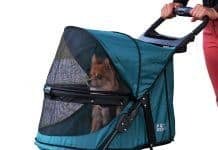 They were designed to provide both the user and pet comfort and Andis have most definitely succeeded! They’re also very quiet. Meaning that even nervous dogs shouldn’t get too rattled or alarmed. If comfort is very important (as it should be), you’ll be happy to know that they’re incredibly comfortable to hold and not at all slippery and as mentioned above, they’re incredibly quiet for the speed and power they run at. If you have a smaller breed, you could potentially get away with a slightly cheaper set of dog clippers. 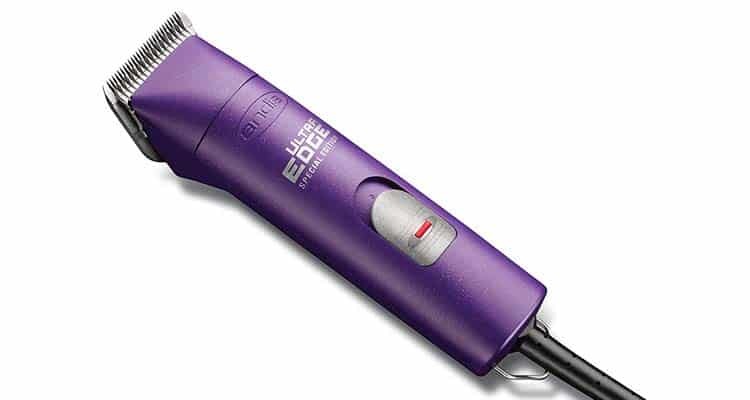 Check out or round-up of the top 10 dog clippers available on the market today. all budgets covered, all levels reviewed! Click here to read more.